Our shop is home to a host of furniture makers, designers and craftsmen creating custom pieces for their clients. If you have interest in having something built custom pease fill out the form HERE. We look forward to working with you. Send him a text or give him a ring any time to set up an appointment with Ken Marcelle, Red Hooks most beloved (and only) barber. (347)475-5414 . Click HERE for more info and pricing. 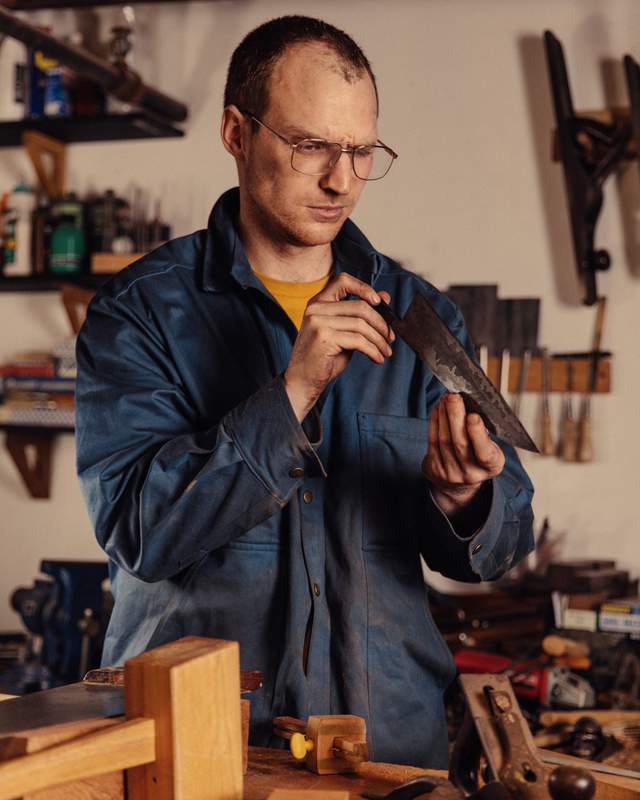 In house knife maker and jack of all trades craftsmen, Will Griffin offers his sharpening services. Drop off any time during store hours or send a note to inquire about schedule etc. HERE for more info and pricing.